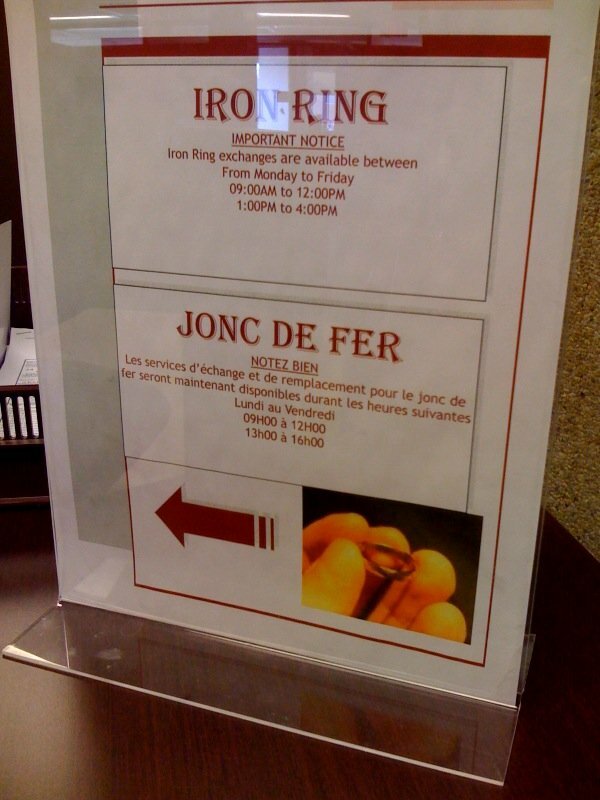 Having lost my iron ring in Cuba last week, I went into uOttawa this morning to pick up a new one. The replacement is very pretty: all shiny and sharply faceted. It will be some time, manual labour, several solvents, and many car panel scratches before it gets properly worn in. It was interesting that the sign on the counter of the Dean's office managed to add significant insult to the injury. There, right on the sign, was a photo from March 2005 of my original ring. Lifted straight from this blog. I pointed at it and said "I want one of those. Actually, that one is mine." Oy. For future reference, my pinky is a size six. What a wonderful week in Cuba. I'm not much for laying around a beach, but when there is a beach as perfect as at Cayo Santa Maria, soaking in sun sounds like a great idea. It was certainly very hot and very sunny. It takes a little to get over the cultural differences, the constant tipping, and the fact that the people who work at the resort are very well off as a result. I got asked on several occasions if I wouldn't mind selling my Oakleys. It is interesting that they have the means, but not the way. The week went well, overall. I got a little sick a few times from the food or the heat or a combination of the two. Also, my Iron Ring is now at the bottom of the Atlantic Ocean; I spent hours looking for it, but unfortunately it's gone. Thankfully, it is not difficult to replace. 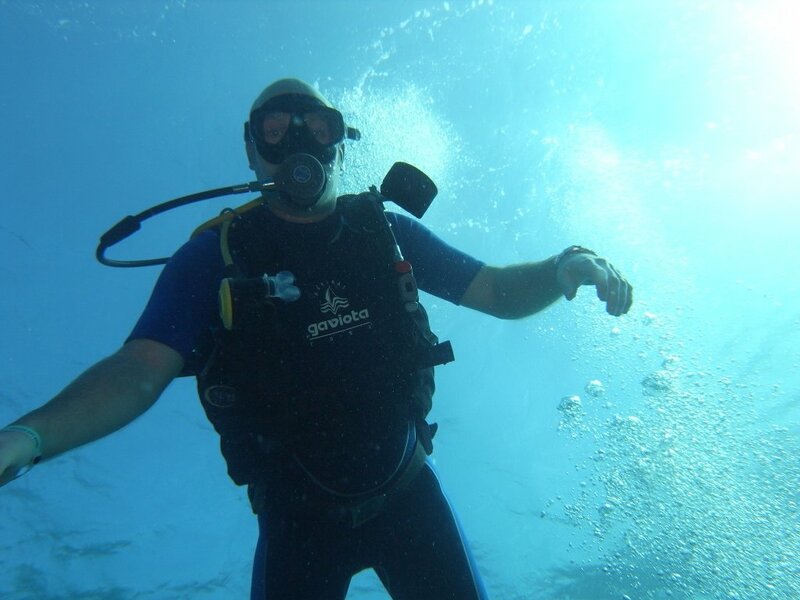 Besides the wedding, highlights of the week included a catamaran tour (though I was sick), scuba diving (with a camera), and zipping around in rented scooters (wee!). The Mojitos were great, the Marguaritas flew freely, and the Piña Coladas were to die for. My tan shows I had good time. Now, back to the cold reality of February in Canada.